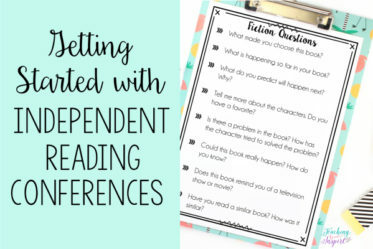 I have been using partner reading in my classroom since my first year of teaching. I find that it is really motivating for my more reluctant readers, as well as highly engaging for all of my readers. Today I want to share what I am currently doing for partner reading in my reading intervention classroom. 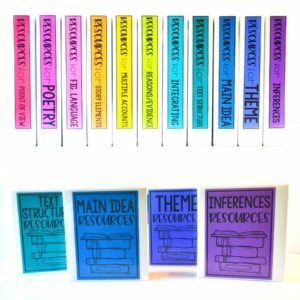 These ideas are very low maintenance on the part of the teacher once you set them up, but really help promote some good discussion and authentic reading experiences. Once you decide on what you expect your students to do in partner reading, write it down and go over it with the students. 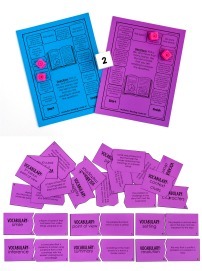 Your students could provide input, if you wish. Here are some very basic expectations that I used this year for my reading intervention group in the beginning. I wanted to ensure both partners were reading, but I did want to provide a choice in how they read. Some students, in the beginning, are not as comfortable reading out loud and I did not want that to hold them back. So, they have a choice to read out loud or both read silently. Even though I don’t mind if the partners read out loud or silently, I do want them regularly discussing the book with their partner. We do a lot of talking about how the more you discuss and think about a book, the stronger your comprehension and enjoyment. I also set the expectation that they must use a quiet voice while discussing. And finally, I give a few expectations for discussion. Now keep in mind that the group I have this year are not used to discussing books nor are they avid readers. They need a bit more structure in the beginning. 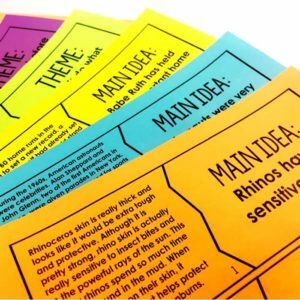 After doing that for a week or so, we moved into more advanced discussions and I gave them sentence stems to keep in their reading notebooks to refer back to as needed for ways to start a discussion. 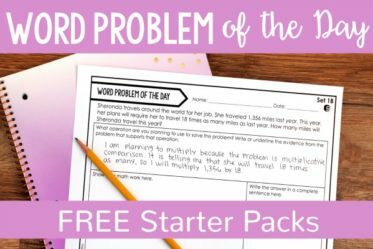 Some of the students don’t need the stems at this point but it definitely helps my English Language Learners and other students have a way to start the discussion. 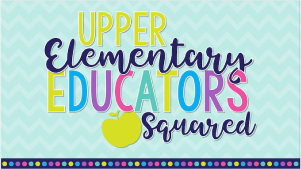 Click on the image below to download the printables. I am lucky enough to have an entire shelf dedicated to partner reading books. The students know to come to this shelf and select a new book when they finish the book they are reading. Some of their favorites are the “How I Survived Series” and some highly engaging, low readability books that I purchased from this High Noon Books. If you have extra money in your book budget, I highly recommend checking out these books. They are written specifically for older readers that read a significantly lower levels. Even if you don’t teach struggling readers, these books are great for partner reading because they can be finished in about a week. No matter what books you decide, try to have a dedicated section of your library for partner books and label them accordingly. Below is a picture of our growing partner library. 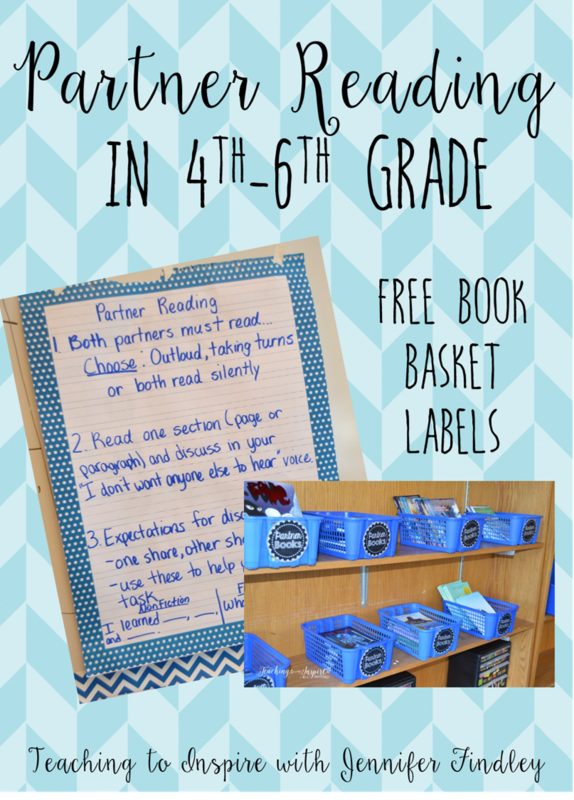 Click here to download the partner reading labels I have on my baskets. 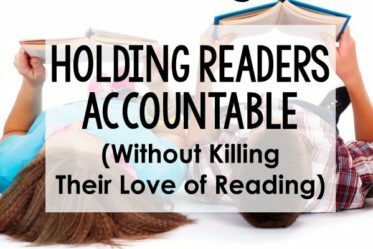 I do love books and prefer my students read from my partner reading book selection, however I have a few students that actually prefer to read articles or passages with their partners. I keep a selection of high interest passages or news articles available for those students to read. I also have magazines that some students prefer to read from time to time and those work perfect for partner reading as well. Those are just a few ideas for partner reading that have worked well for me over the years. Do you use partner reading in your classroom? 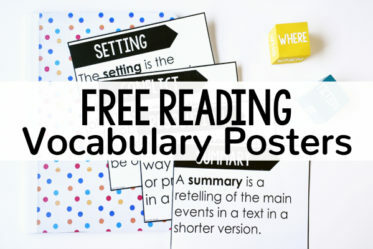 I enjoyed reading your post on partner reading in your classroom. I really love how students have an ample amount of books to choose from. They’re given choice which is key to motivation! However, I always find it hard to “choice”reading time in during my ELA block. How much time do you devote to reading authentically in your classroom? Hi Erica, my position is a bit different this year as I teach three classes of reading intervention only. I only have about 45 minutes so I devote 15-20 minutes of that to choice reading. However, the past six years I taught all subjects and the vast majority of my reading time was spent on choice reading. We would began our reading block with a read aloud and a mini lesson with a skill. If the skill could easily be transferred to their choice reading, they would choice read for about 20-30 minutes each day. However, if the skill was specific and I needed to ensure they read a text that allowed them to apply the skill, they would read a short text that took about 10 minute and then their own reading. Our reading block lasted 90 minutes: 30 minutes for read aloud and mini lesson and 60 minutes for independent reading/stations/guided reading. Let me know if you have other questions! 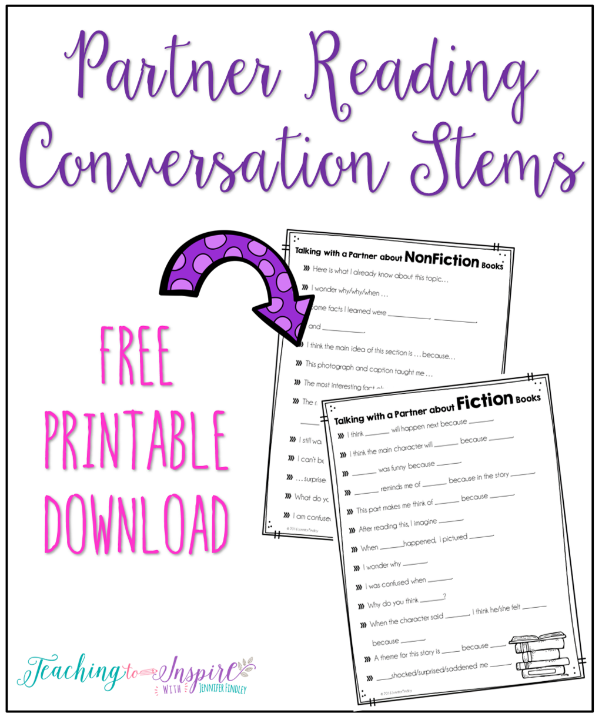 I loved reading about how you implemented partner reading in your classroom! 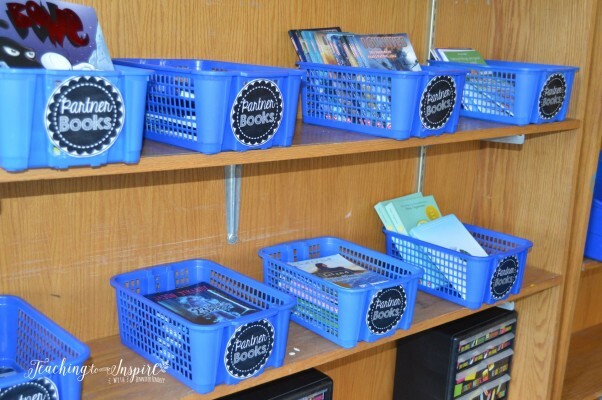 What a great idea to offer perfect partner reading books on their own bookshelf! 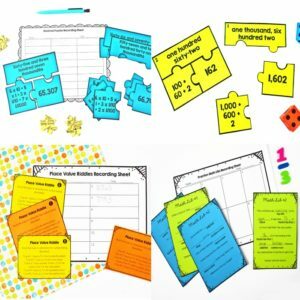 What other measures do you take to make sure that students are on task and being held accountable while you are leading guided reading groups? Thank you so much for the detailed information, and especially for the link to High Noon Books. 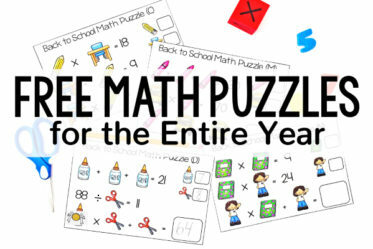 What a great resource to have! I love this idea. I wondered if there was a chance your labels could be editable? What kinds of books [genres, specific titles] do you keep in your partner reading bins? Also, how do you group the students in partner reading? 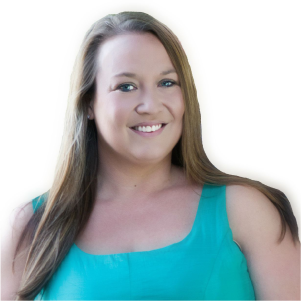 Hi Jenna, as many different genres and titles as I can find cheap enough to buy two sets. I like books from High Noon for my struggling readers (even though they are not cheap). I like to stock up on the Scholastic $1 books. I group my students by their reading level, keeping them as close together as I can. 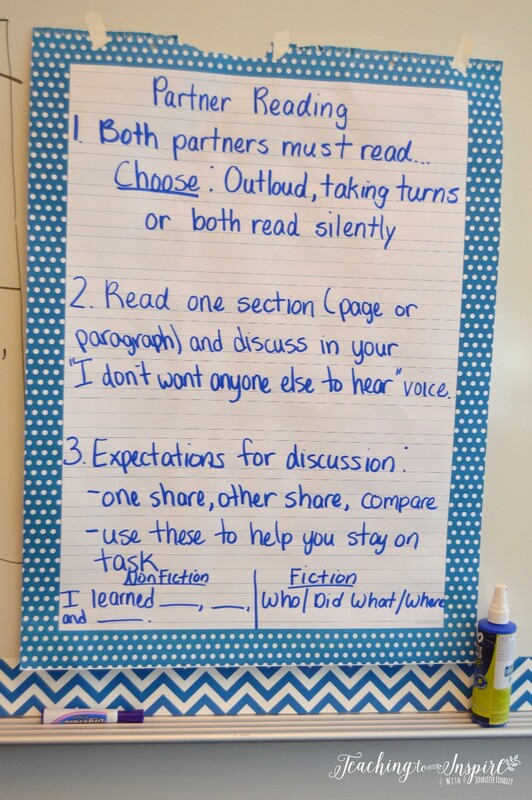 Hi Jennifer – do you have students discuss each time they do the Partner Read center or towards the end of the book? How long do you envision a Partner Read book taking the students? Clearly, they can’t get it completed in one center.